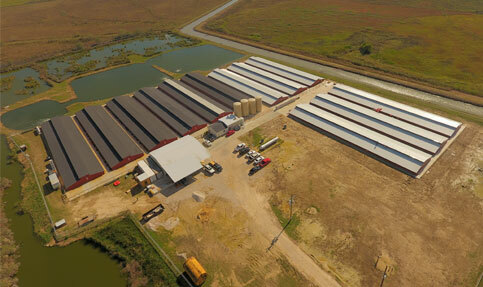 Tallow Creek Ranch (TCR) – In 2012 Padenga purchased a 50% shareholding in a small family owned alligator operation in Winnie, in East Texas, USA. At the time of purchase the business produced approximately 3,000 alligators per year. In the period since acquisition the business has been grown substantially and by January 2017 had the capacity to produce 60,000 watchband sized alligator skins per annum. This operation constitutes the current expansion opportunity for Padenga, with the potential for production capacity to be doubled on the existing farm site within a very short space of time.